Kratom Dosage Information: How Much Kratom Powder to Dose? Although Kratom has been around for thousands of years, the hardest part is trying to determine the amount that you should take. What works for one person may not work for you. In the ancient days, rainforest habitants just had to pick a leaf from a Kratom tree and chew it. 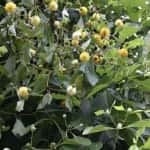 Most likely you don’t have a Kratom tree in your backyard. You just have to buy it online in powdered or dried form. But even if you can easily buy it, you still need to know how much to take. Right? Read on and you will learn the right dosage. Even though different countries may have different names for Kratom products, there are still terms that you should know. These terms will make it easier for you to figure out the dosage amounts. However, it will depend on the quality of Kratom that is purchased. Be aware that the dosage amounts will vary according to the products. • Super. This type of Kratom is made with the largest leaves on the tree. The alkaloids are larger in these leaves, which means that this particular grade is much more expensive. • Premium. This particular grade undergoes a sifting step that takes out the stems of the trees. Also, be aware that it does not contain alkaloids. You should have a grade of Kratom that contains just the high potent leaves. • Extract. This is a very potent form of Kratom. You have to boil Kratom powder to make a thick resin and then crush it. An extract is very potent. You will see that the regular amount of Kratom that you are normally told to take does not work as well. By adding extract to regular Kratom powder, you end up with a product that is known as Ultra Enhanced Kratom. As you have seen, many of the top Kratom products have a country in the name. 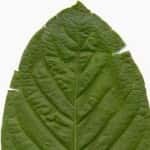 Most of the time one country’s Kratom product is not more potent than the others, but there are things from each region that will influence the amount that you take. When you purchase Kratom, make sure that the food labels are clear and that you get your product from a company that is trustworthy. 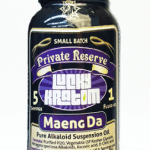 Look for online vendors such as Quick Kratom because they will have labels that you can read and trust. Use these guidelines as a way to start your Kratom experience. When you use a certain strain of Kratom, take notice of how your body responds. Monitor the amount of Kratom that was taken in order to make you feel a particular way. When you take it again, modify the dosage to reflect how you want to feel. Increase or decrease the dosage accordingly. For super Kratom dosing, try one to two grams to get a slight nudge in feeling. Try three grams for a light experience, five grams for a strong experience and eight to fifteen grams for a very powerful experience. For premium Kratom, try two grams for a slight nudge in feeling, four grams for a light experience , five to ten grams for a strong experience and ten to fifteen grams for a very powerful experience. 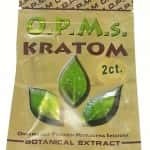 When using Extract Enhanced Kratom, use one gram for a light experience, two grams for a strong experience, three trams for a stronger experience and four to five grams for an extremely powerful experience. The good thing is that when you take the right amount of Kratom, it will not harm you. It has been taken for thousands of years and no one can say that it has caused any problems during those years. Obviously, if you take the wrong amount there will be a few unwanted side effects. You can expect to be nauseated, sleepy, unable to concentrate and other things such as suffer with a runny nose. However, if you feel these types of things, get some rest and drink plenty of water. Quite naturally, you should stop taking Kratom doses for a few days. These side effects will disappear eventually. 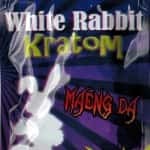 Modify the dosage the next time that you take Kratom so that you will have the right experience.